Balazs was working in Cambridge between 2011 ans 2015 with Maté Lengyel (University of Cambridge) and Tiago Branco (MRC LMB). 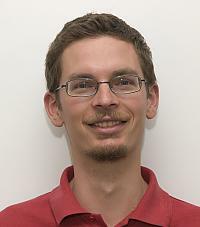 As a postdoc with Máté Lengyel he realised that efficient computations on realistic spiking inputs require nonlinear input-integration within the postsynaptic dendritic tree. He showed that optimal dendritic integration depends on the statistics of the input and derived functional link between input statistics and dendritic integration. In collaboration with Judit Makara and Tiago Branco he tested this prediction in hippocampal and neocortical neurons.